It is International Scone Week, according to Celia at Fig Jam and Lime Cordial (and she should know since she invented it). I usually make Belinda Jeffrey’s buttermilk scones or Margaret Fulton’s sultana scones but both books are in Perth and I am down south. How silly of me not to come prepared. I should have known it was International Scone Week:) But, as luck would have it, I had brought down Merle’s Kitchen by Merle Parrish. I was in business. For those who are not familiar, Merle shot to fame when she appeared on Masterchef. The producers rang the Country Women’s Association looking for someone to appear on the show in a baking challenge and were given Merle’s name. Fellow blogger, Billy Law, was to win immunity if he could beat Merle in a bake-off. Merle won and, at the same time, captured the hearts of Masterchef viewers. Earlier this year, Merle published her book. Merle has been a member of CWA for 58 years. She is 80 and has won just about every prize in every category in the competitive baking world. She lives in Cudal, near Orange, in New South Wales. Back to scones… I was flicking through Merle’s book, looking for inspiration and I came across her recipe for pumpkin scones. Now this is International Scone Week and pumpkin scones are an Australian icon. I had some butternut pumpkin in the fridge which I had bought for the dogs. They could live without it, I thought. Everyone has to make sacrifices for good causes. So pumpkins scones it was to be. Preheat your oven to 200°C -220°C (depending on whether your oven is fan forced or not). Cream the butter, sugar and egg until pale and light. Stir in the pumpkin and the salt. Sift the flours and baking powder together then add to mixture. Using a knife or spatula, mix mixture until it just comes together. If it is not moist enough to come together, add a little milk. Turn dough onto lightly floured bench. Knead once or twice to form dough. Roll, or pat, dough until it is about 2cm thick. Cut out scones with scone cutter. Gather up extra dough, reform and cut more scones. Place closely together on prepared baking tray. Bake for 12-15 minutes, until risen and lightly browned and skewer comes out clean. 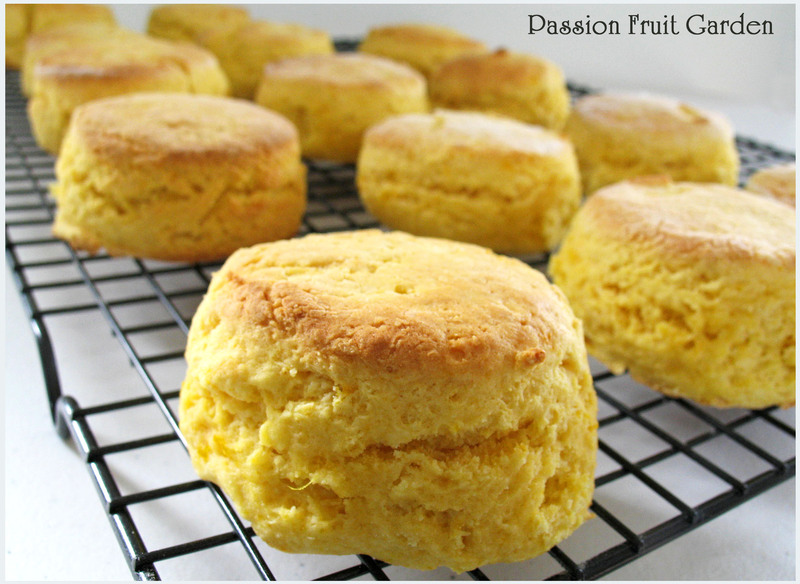 This entry was posted in Eating your bounty, Pumpkins, Scones, Sweet Things and tagged International scone week, Merle from Masterchef, Merle Parrish, Pumpkin scones by Glenda. Bookmark the permalink. Nice looking scones indeed. I think I was probably the first person in Australia to buy Merle’s book. I love anything CWA and I adored her manner and her way when she appeared on Masterchef. I gave her Sultana Cake a go and was very happy with the results. Perhaps I ought to give the scones a go now. Oh I also think highly of Belinda Jeffery – met her a couple of months ago and she is a sheer joy of a lady. Such class. Hi Mariana. Belinda Jeffrey is a fantastic baker. I have made all her tarts from her four books. You were very lucky indeed to meet her. I was also impressed with Merle on Masterchef. What a woman!! Give her scones a go, I don’t think you will be disappointed. All her tarts? Are you kidding? Thats a lot of tarts I would think. Would love to hear which was your fav. Hi Mariana – not so many. OK, most of – I just did a check. Great looking scones Glenda. I’ve always wanted to try pumpkin scones so now would be a good time. Have you tried Belinda Jeffrey’s pumpkin and date scones? They sound good as well. I’ve always meant to try these, so thanks for the recipe and the prompt ! Hi Claire, they are very good. Give them a go. The scones look amazing has Maus being making more cutters they look perfectly shaped. Have you made any lemonade scones? I remember seeing a cooking show and she made lemonade scones I couldn’t believe it! 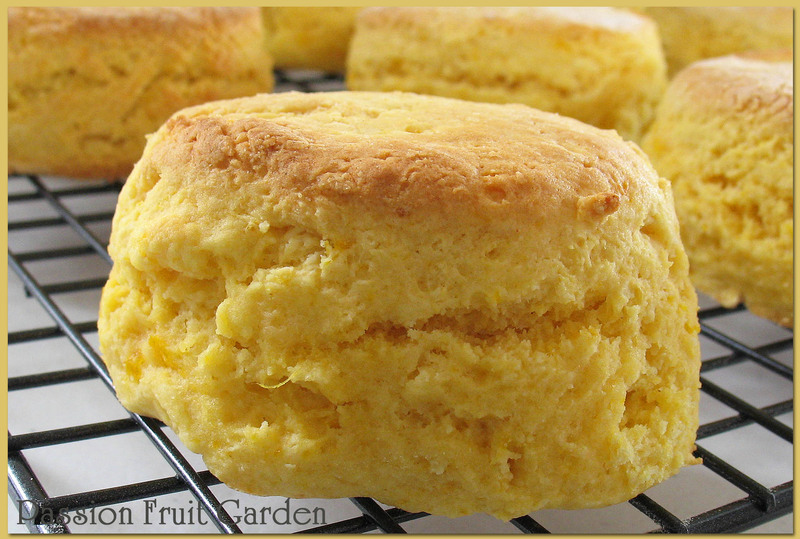 Hi Gail, I have never made the lemonade scones but they are very popular. Belinda Jeffrey has a recipe in her book Mix and Bake. Your scones look beautiful and the color is so lovely. I’ve never seen a scone recipe with cornflour in it. Must be a secret weapon 😉 I’ve been looking for a pumpkin scone recipe so I look forward to trying this one out. Thanks for sharing! They tasted great, so give them a go. Oh, what a lovely idea Glenda! I have some cooked pumpkin in the fridge too! Go for it Mandy. Pumpkin scones are wonderful. Hi Celia. They are so nice, we just had pumpkin scones for breakfast (not very healthy I know). My mum used to make them all the time. Lucky we had the butternut pumpkin in the fridge. I was wondering if I was the only one who thought these scones looked like biscuits. I’m glad to know that it’s a semantics thing! They still look delicious whatever they are called and I will have to try some soon. My SIL makes scones at Christmas as gifts and he does his like a pizza. Instead of cutting out round shapes, he keeps his dough round and cuts them in triangles. He says they are easier to ship that way. Love your post. Thanks for visiting and commenting. We seem to depart on what our understanding of a scone is. 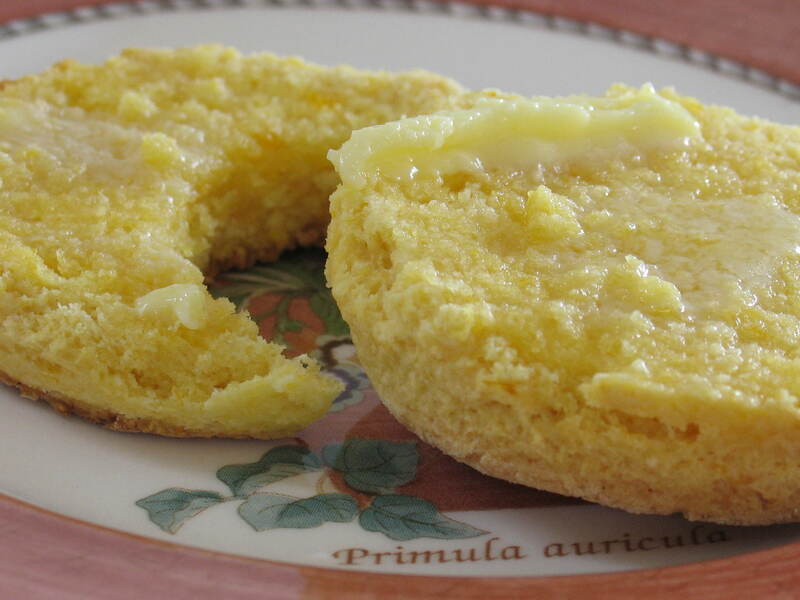 Here in Australia these are definitely scones – pumpkin scones are very popular here. I am sure whatever we bake and call a scone will be delicious and that is the main thing. Oh dear. Here we go with the semantics again! Not that we don’t have language differences even nationwide over here, but I suspect that ever since we won our freedom from the Brits, we’ve been looking for ways to separate our languages and cultures. What you have baked there is -over here- a biscuit. And the definition of a scone is something most Americans don’t agree on – some call a biscuit cut into a triangle shape, a scone, but in my part of the country, a scone is simply a fancy biscuit – usually with fruit baked into it, or on top of it. Language is such fun, isn’t it? Good to hear from you. In Australia we have stayed loyal to English English and spelling but you lot seem to have strayed 😀 Why is that? Those do look very good! I like their color and height and I’m sure the flavor is fantastic. Cornflour= cornstarch or cornmeal? I think I’ve asked this before and am just stumped to remember. Is is yellow or white? Very fine or coarse? We make a lot of pumpkin muffins here in the States. I know this is weird but cornflour in Australia is actually made from wheat starch but it is just like your cornstarch. Oh those look really really really good 🙂 I love their golden colour and they look very smart indeed! Do you make pumpkin scones in the UK?